The chairs are not fixed but are meant to be arranged by the visitor to create an experience with another visitor (itself an act of art) or to engage with the art in the gallery from the perspective of “receiving insights” or “giving appreciation” as an example. 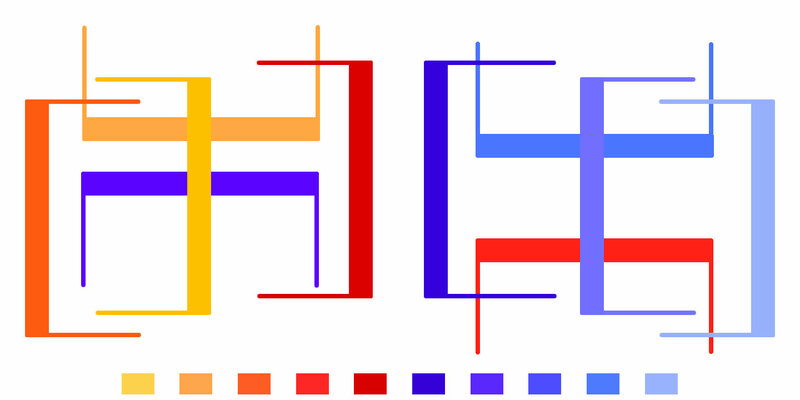 There are sample chair arrangement patterns on the hard wood platform to illustrate some of the various permutations for arranging the chairs (and to keep the piece intact.) The patterns themselves resemble energy circuits. 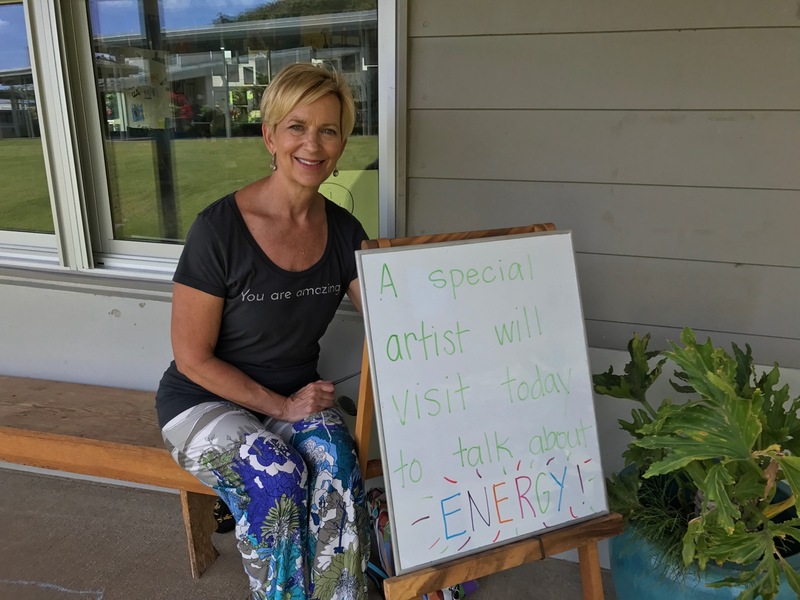 It’s my intention to have art be more accessible and “touchable” than occurs in the traditional museum space, and to invite the public into the act of both engaging with the Art Maui artists as well as each other. I also hope that this piece would connect with younger visitors, in particular. 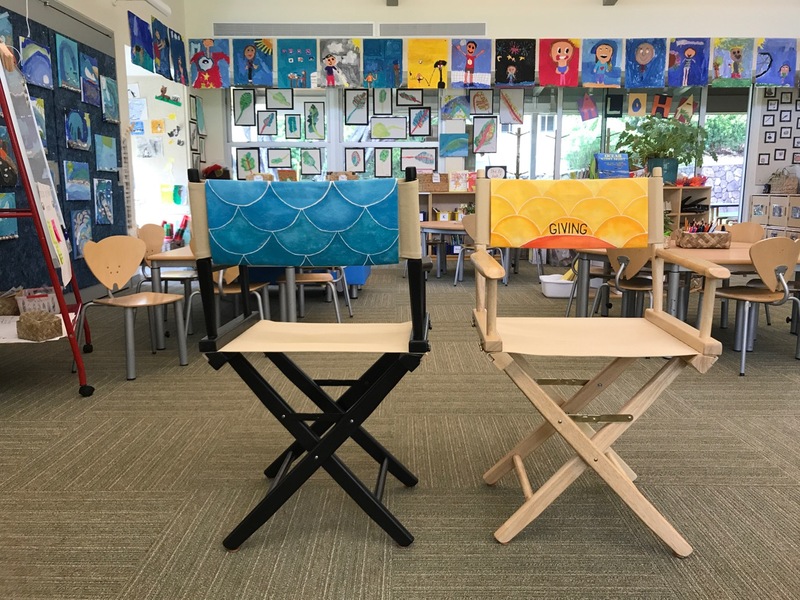 2 hand-painted director chairs and one high grade, finished, and painted plywood platform. The chairs are 32” tall, lightweight, and easy to carry and move. They have very sturdy, rubberized feet that make them sturdy and silent. The platform is 30” by 66”, aka 2.5’ by 5.5’. It has cushioned pads underneath it. It can be moved by one strong person or two average persons. Note: This installation was originally created for the Art Maui, 2016 Juried Exhibition. It was not accepted. I still love the many ideas and energy in the work and would like to continue working with the concept. And, I am thrilled this work has found a permanent home at the renowned Punahou School, in Honolulu, Hawaii. 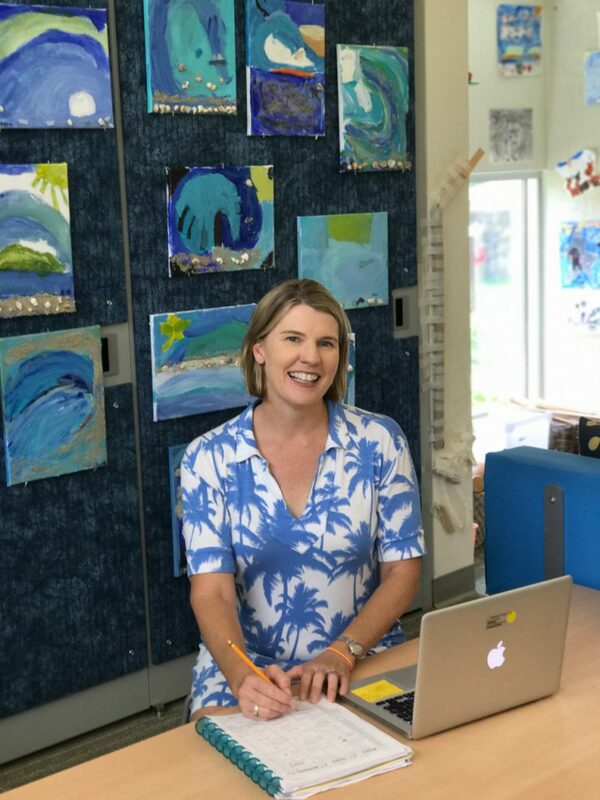 Acquired: Stacey Olson, First Grade Teacher, Omidyar Neighborhood, Punahou School, Honolulu, Hawaii. I was invited to introduce the concept of human energy to the class. 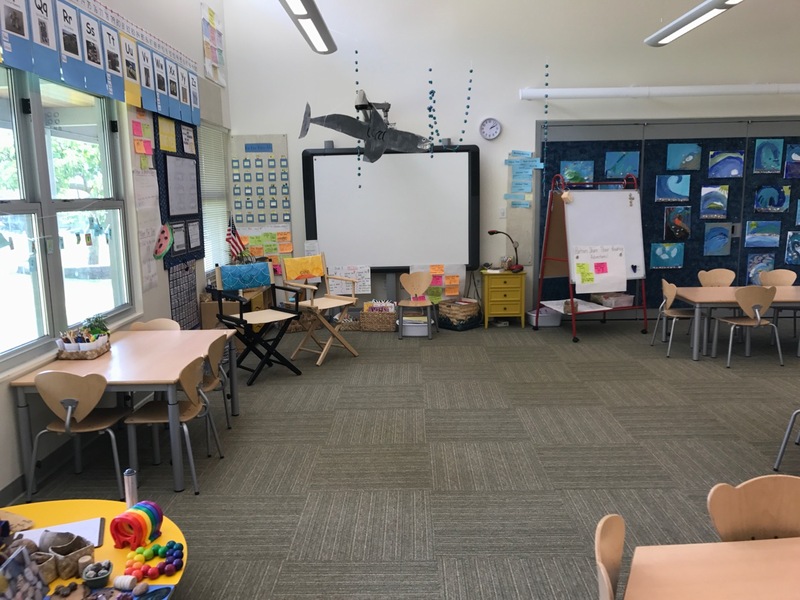 They’ve been using the chairs for a year now and are finding ever more creative ways to share energy and to manage their own energy. Feeling tired? Get in the Receiving Chair. Feeling wired? Get in the Giving Chair. And so much more!